Do you know the following designs, associated artworks and national radio theater promotion photo shown above? Do you know how they relate to the historical design history of the Meriden area? If not, click the photos and be directed to sources where you can learn more. So far, over 13,500 sources compiled online. Over 2800 museum objects listed thus far, with thousands more to come. Design Meriden at artdesigncafe is the centralized, online disseminator of information focused on historical product design from Meriden, CT, USA between 1860 and 1965. While the designs were manufactured in this area, data shows that its audience is widely dispersed nationally and internationally, just like its designs and documentation today. The area’s designs were often marketed and communicated via New York City, and beyond. 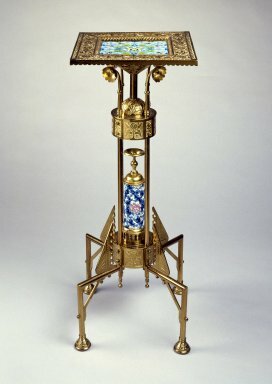 Meriden area-made designs have been collected by museums nationally and internationally, and works from the area overall have been featured in over 1000 exhibitions in the USA and abroad since the 1850s. When you look more closely at the objects, you’ll understand why they have received such widespread attention and critical acclaim. At Design Meriden, we have taken action to unearth this largely hidden design history, connecting notable dots, and spotlighting its unexpected impact. Through specialist academic research, professional communications and this online platform, Design Meriden administered by artdesigncafe has helped facilitate a new, recent wave of appreciation, enthusiasm and discoveries, from globally to locally. We also actively lobby to make important, rare, historical material far more easily accessible to curators, researchers and enthusiasts— and more widely available via the internet. Join us in the design discovery. This documentation recovery effort and dissemination initiative is led by international arts journalist and communications professional R. J. Preece. He grew up in post-industrial Meriden, later taught at design schools in Japan and Hong Kong, and settled in NW Europe in 1997. With the Meriden area work often buried under thick dust from decades of history, he only began to learn about the Meriden area work— from scratch— in c. 2015. He has since largely steered his focus from international contemporary art and design to the historical Meriden area work as a tribute to the designers. "I never imagined anything like this was ever possible there," explains Preece. "It just didn’t seem that kind of place, and that was fine. But the historical designers and entrepreneurs proved me completely wrong— and it’s almost unbelievable, dream-like, and it’s fantastic." > If you are from the Meriden area and any notable information is new, spread the word to a few friends / colleagues. Due to communications challenges for many decades and the specialist nature of design and technology, too many people are unaware of these important legacies! > Alert artdesigncafe if you have any original documentation (pamphlets, etc.) of the companies; we will ask for scans and, if of interest, help you find a national-level institution to protect the documentation and enable the fastest access for future researchers. Sometimes you can be eligible for a tax deduction and you as a donor can be recorded, or the documentation can be donated in memory of a loved one. > Many different designs, even individual silver plate items, are of interest to museums across the USA and beyond. For many designs, consider donating them to a museum. (First, you should check auction values; many are listed on the company objects pages below.) Sometimes you can be eligible for a tax deduction and you as a donor can be recorded, or the object can be donated in memory of a loved one. At some museums, it can be arranged that your donated design will be photographed and visible online as part of their museum collection. > Volunteer time to assist in documentation recovery. This can be done from anywhere. Sometimes university students can receive college credit for an internship. For on-site documentation recovery, we are especially looking for assistance in Meriden and Hartford, CT; Santa Barbara, CA; New York City; Washington, DC; Paris, France; and Sydney, Australia. Near fluency in French, German, Portuguese, or Spanish adds new value here. > For companies and foundations, we offer sponsorship and funding opportunities. Contact artdesigncafe and we will provide more information on how your organization can contribute to the design discovery. In certain ways, artdesigncafe is eligible for American foundation funding. For more information, please contact artdesigncafe.com via the services page linked above. 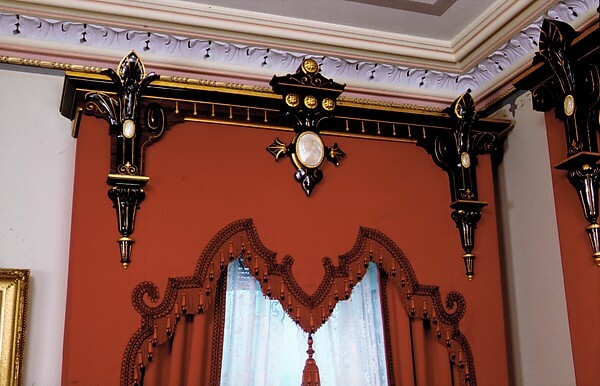 From New York to Los Angeles, from London to Lisbon, from Paris to Tokyo to Rio de Janeiro and Melbourne, Australia, historical Meriden area design has been spotlighted in over 1000 museum and exposition shows since at least 1851. Some historical objects related to the Meriden area do rather well at auction. Check out some of the auction results below. USD$75,000. 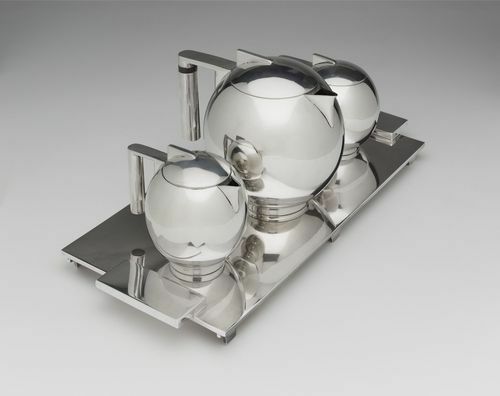 Four-piece "Modernistic" coffee service (1928). (2013, Sotheby's New York). See hundreds of auction results in the company listings below. Just click the "designs" links. From world-famous to not so famous, historical designers and inventors contributed designs and technological development to Meriden area companies. 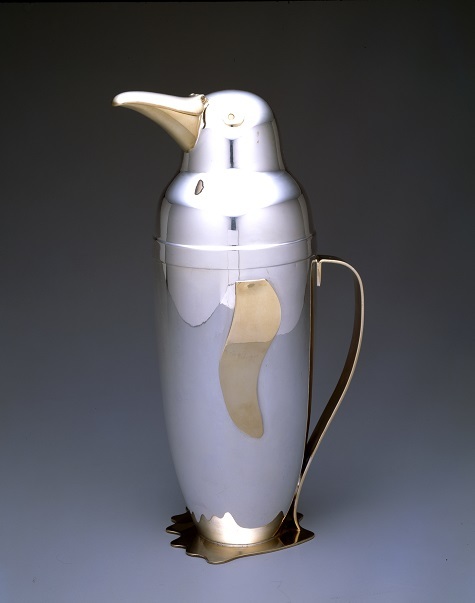 Many designs are collected by museums in America, Europe and elsewhere. Famous designers include Philip Johnson, Raymond Loewy, Eliel Saarinen, Jean G. Theobald, Bradbury Thompson, and Emily Hall Tremaine. It's the designers' work and legacies that we celebrate at Design Meriden. Documentation recovery initiative: Over 13,500 sources compiled online to date. Over 3600 museum objects found. The Baltimore museum was the fourth venue of 28(+) that exhibited the Painting toward architecture exhibition (1947-52). > Article: "Rethinking Painting toward Architecture (28+ venues, 1947-52)"
F.5. Manning, Bowman & Co.
See resource pages for Parker guns and Charles Parker Company hardware (including vises) in section E below. > Home National Bank of Meriden currency. > Meriden Fire Arms Co.
> A. J. Hall & Co.
> Meriden Machine Tool Co.
> E. A. Bliss Co.
> Silver City Plate Co.
> Simons & Miller Plate Co.
> Taber & Tibbits, Inc.